Luke Williams is a CEC (Clean Energy Council) accredited renewable energy system designer at LJW Solar and is also the inventor and patent holder (2012903137) of PVStop; he has worked in the solar industry since the early eighties, designing and installing solar photovoltaic and wind energy systems for a variety of domestic and commercial clients. 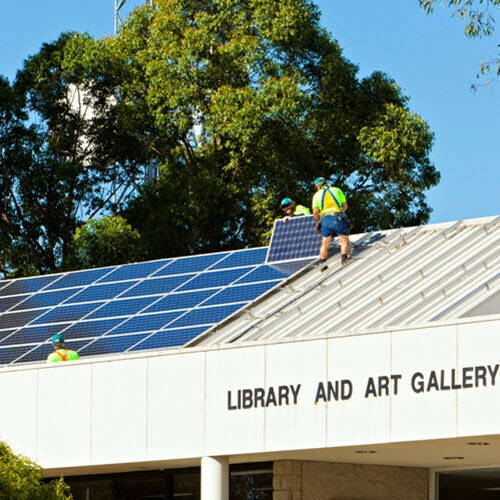 As industry experts in photovoltaic installations and solar panel risks we lecture and offer training courses to fire fighters, emergency personnel, electrical contractors, project developers, TAFE teachers and students Australia wide. For the past 20 years Luke Williams has been running his country property exclusively on solar energy—from the big family home to the industrial workshop. He also runs recycled water from his gardens and orchards to a solar water distillation unit. LJW Solar embraces an efficient renewable energy philosophy for the sake of climate change and has demonstrated that it is possible to operate anything from a bank of computers to MIG welding equipment solely on solar power. Over the years LJW Solar has become increasingly concerned about solar panel risks and associated solar PV hazards. Until now there has been no effective or reliably safe means of urgently deactivating a solar PV array either remotely, manually or automatically, which is why we have developed PVStop—a spray-on solution to mitigate solar panel risks by reducing DC output to safe levels to offer homeowners and emergency personnel peace of mind. Flood Affected Solar Power Systems A Potential Electric Shock Risk. Residents in flooded areas have been warned to be especially cautious around solar panel installations that have been inundated. With the rise of commercial, industrial and residential solar PV installations in Australia and throughout the world, there is a genuine need to combat solar panel risks in a safe and urgent manner, which is why every solar panel installation and every fire truck should have access to PVStop. Get in touch with us today to learn more.